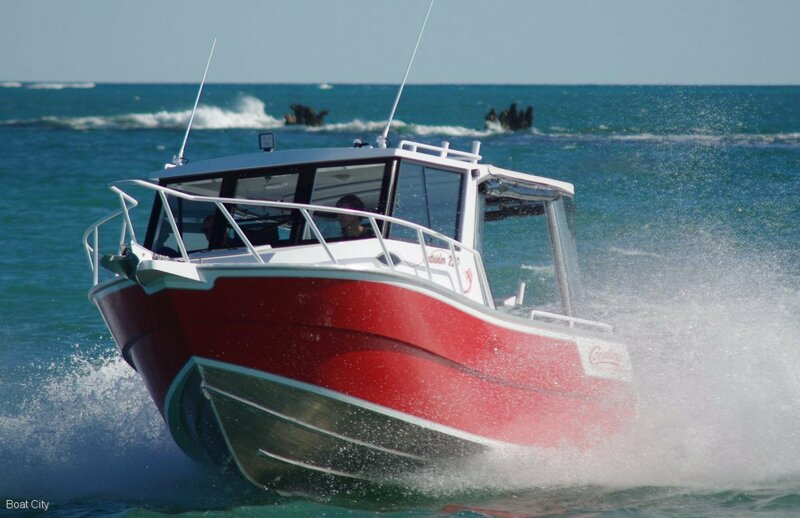 Winner of the 2012 WA Marine Industry Awards for WA Production Aluminum Over 6.0M. 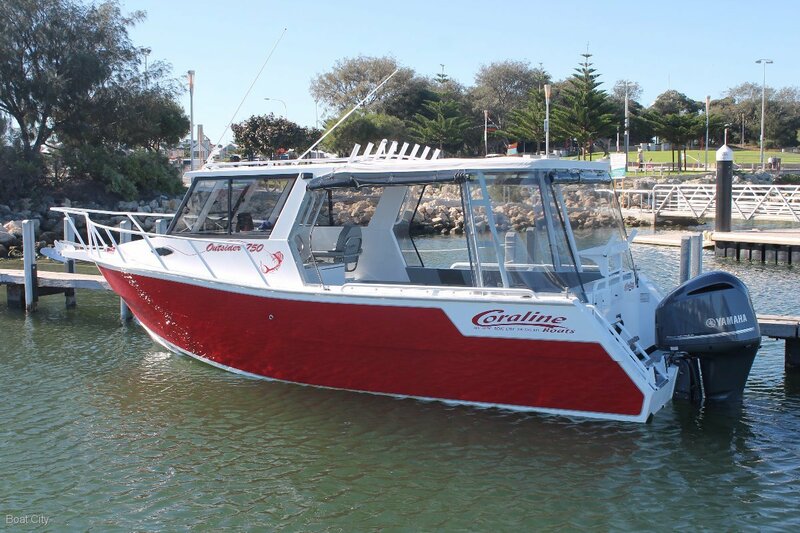 This deserving winner is a stylish offshore sports cruiser with an amazing soft ride and excellent sea keeping ability. 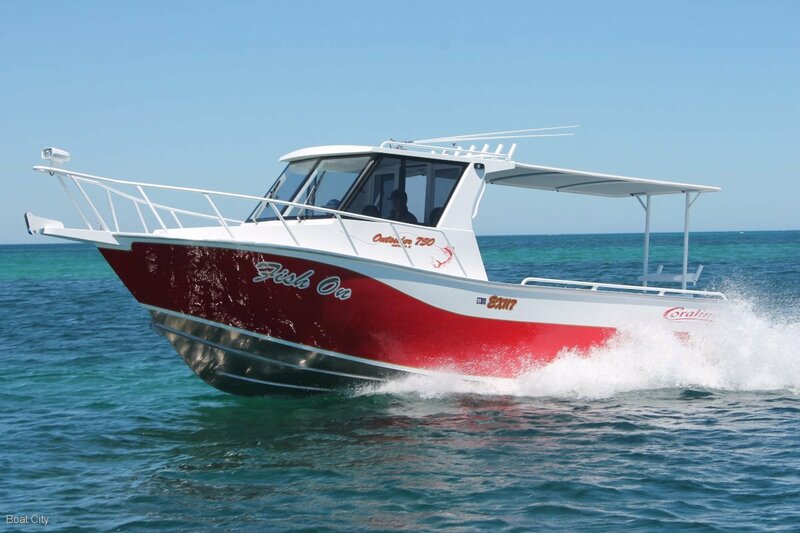 Equipped with all the creature comforts like a lock up fully lined cabin, galley with Fridge freezer and cooker, Radio's, Stereo, GPS Combo and more it's a boaties dream. 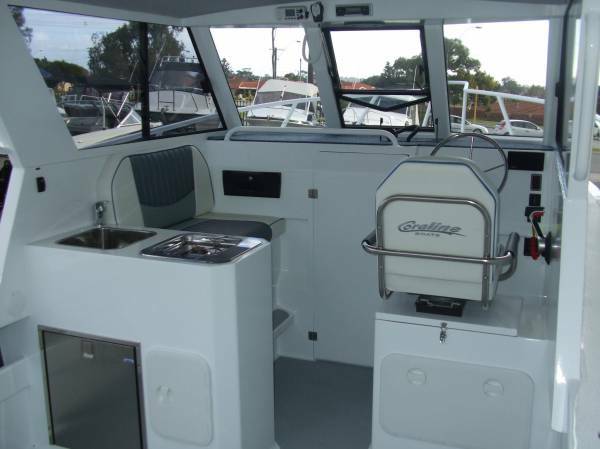 The helm is very protected and there is loads of deck space to keep the fisho's and diver's happy to. The Performance with the mid range Yamaha 250hp 4 stroke is very exhilarating although you can go to a 350hp if required. 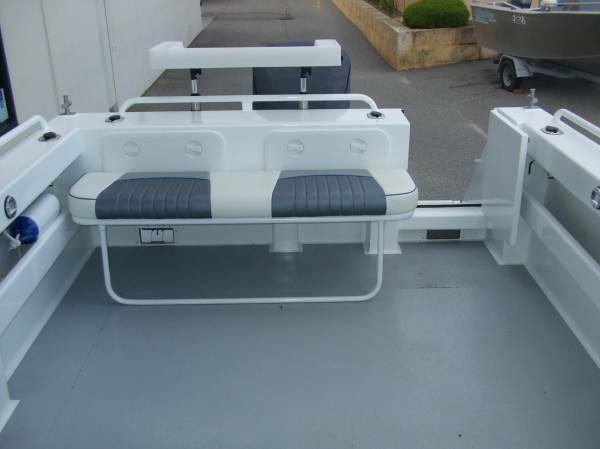 It comes standard on a multi roller galvanized tandem trailer but there is the option of the all new Alloy Coraline trailer as well for not a lot more.